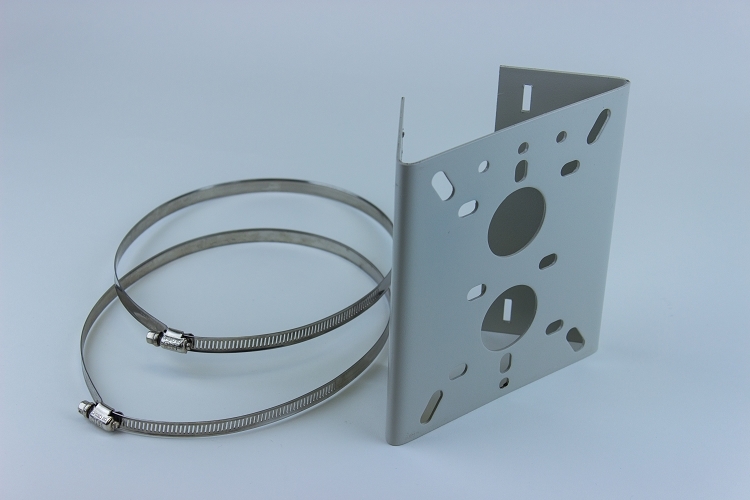 This pole mount adapter plate comes with clamps to attach to any pole and a mounting plate to allow the HD-WMT wall mount bracket to attach to it allowing your HD IP camera to be pole mounted. Note: this bracket has various mounting hole patterns to accept most HD IP Camera and Analog camera wall mount brackets. In order to use the pole mount adapter plate with our HD-IP Cameras, it requires the HD-WMT wall mount bracket.